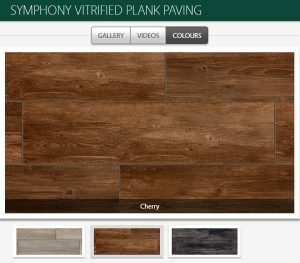 Featuring the latest technology in finish and composition this Vitrified Plank comes in 3 colours and has a wood grain effect, non slip surface. 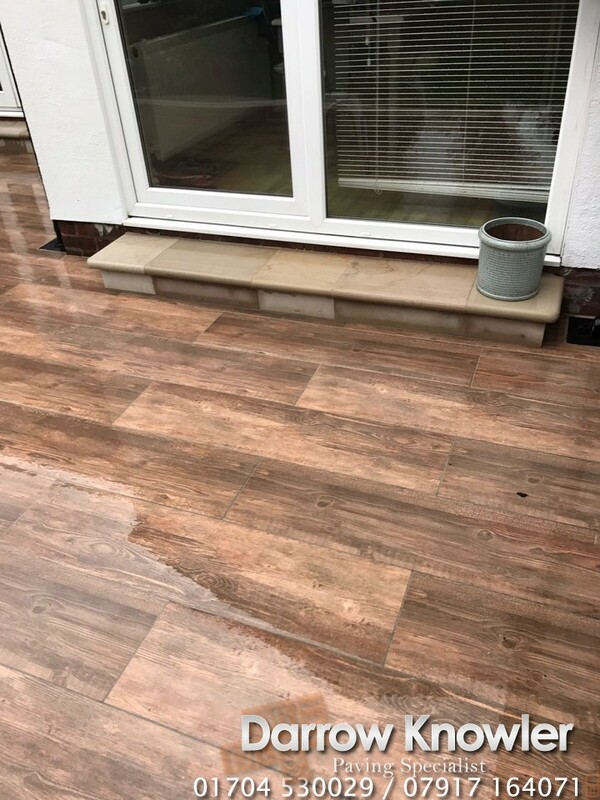 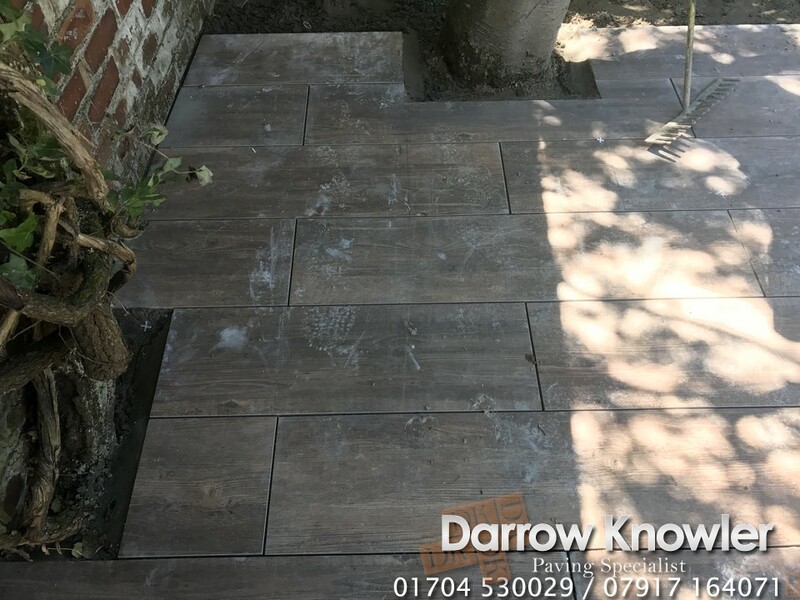 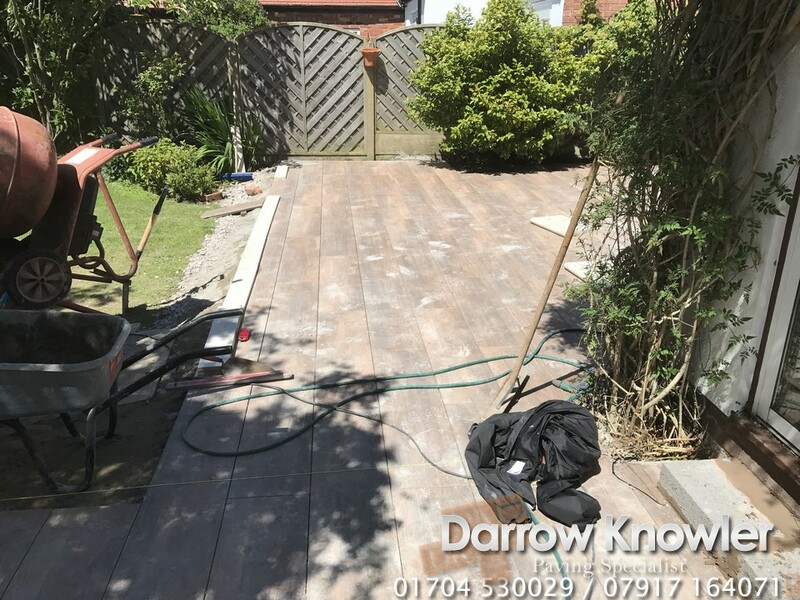 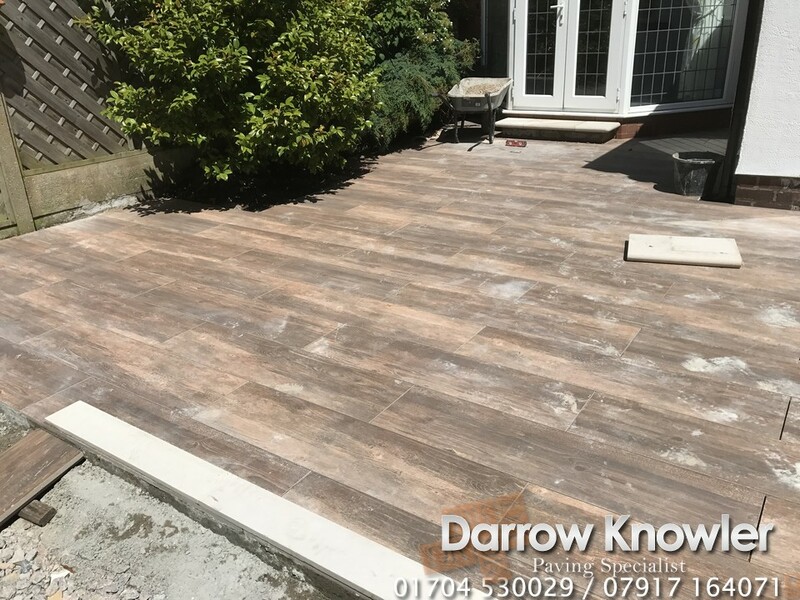 Set on a 30mm crusha run base and then a full mortar bed for added stability, Vitrified Plank Paving offers the attractive advantages of wood with no warping or degredation. 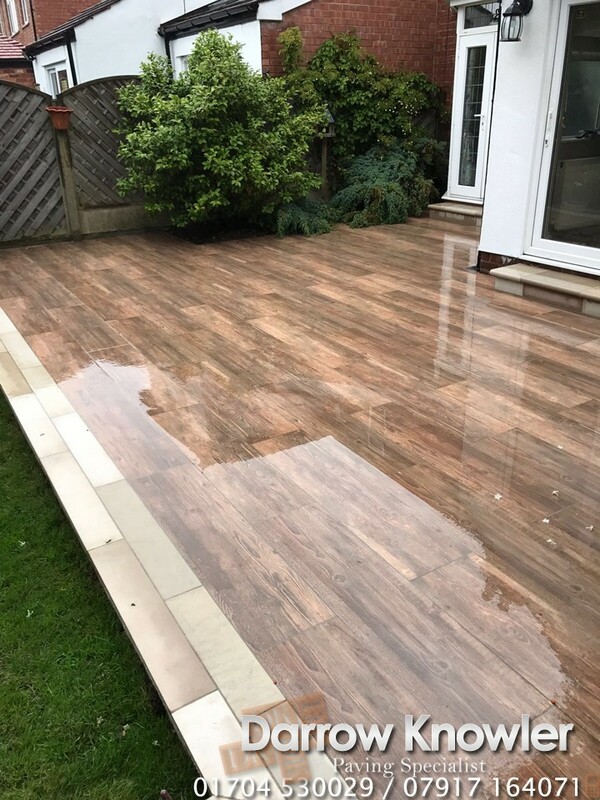 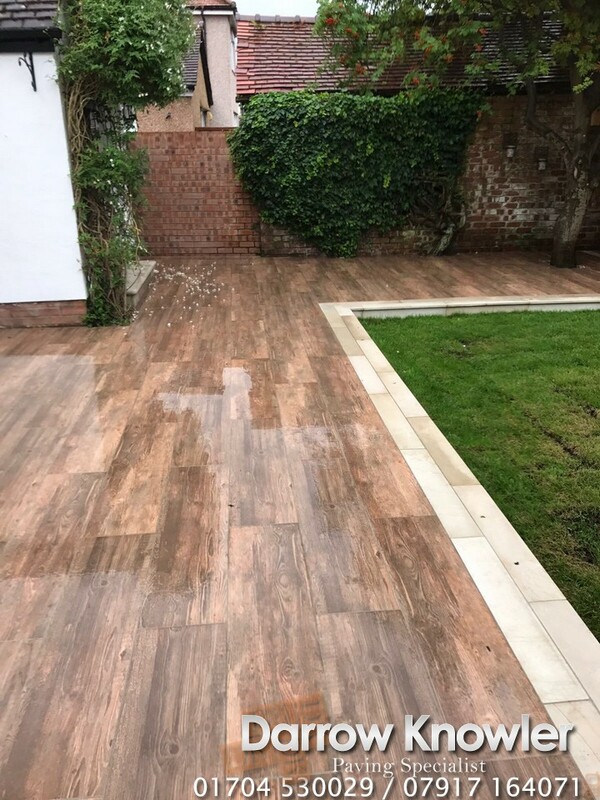 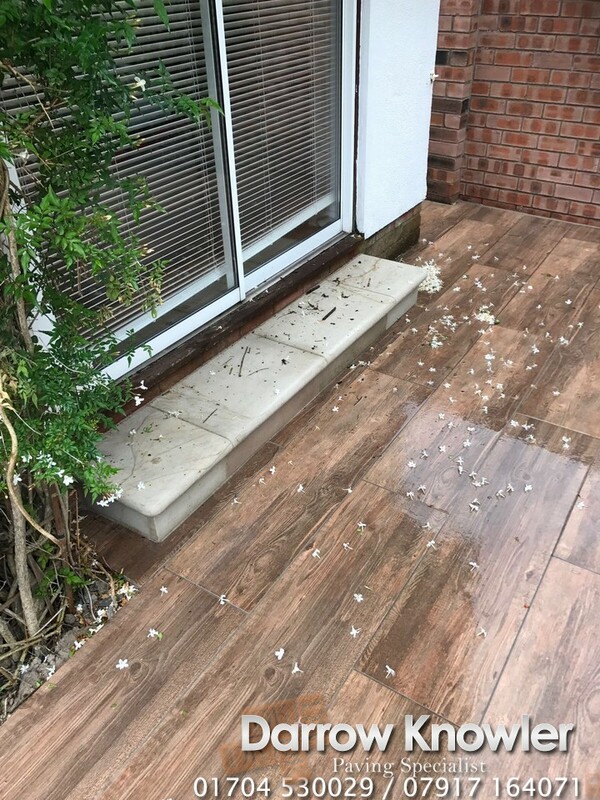 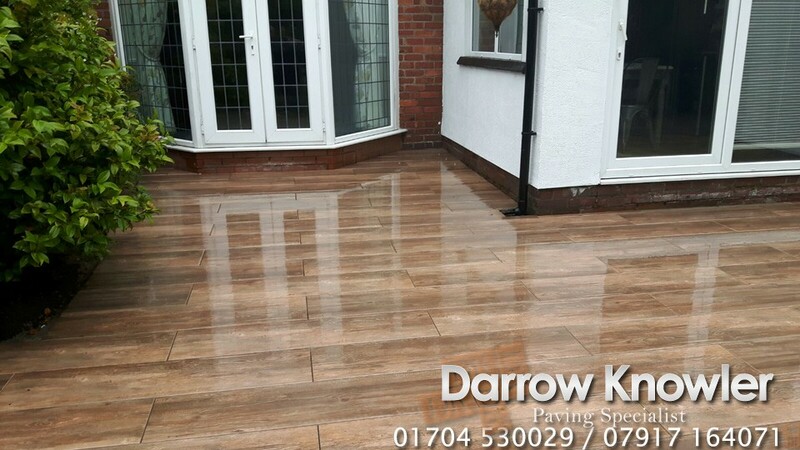 We think the end result is stunning, especially when wet – the non slip surface comes into play and the colour and grain really stands out. 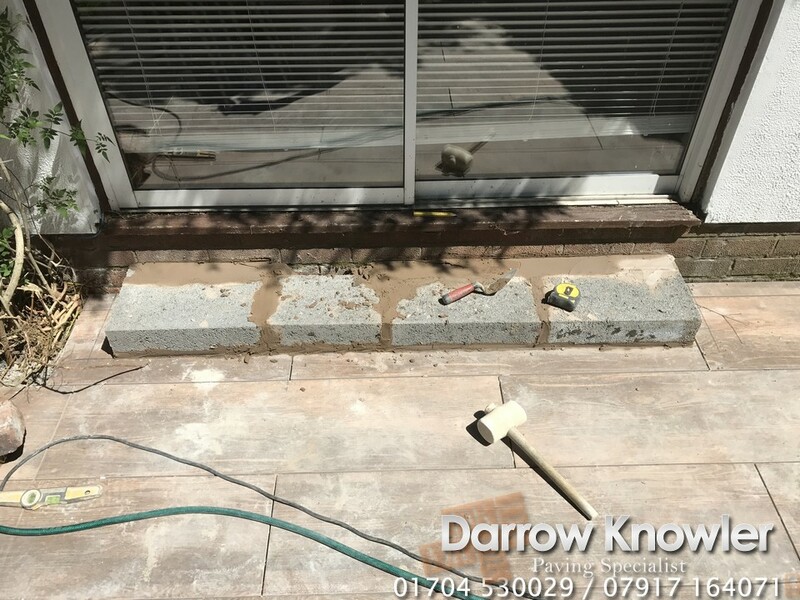 Here are some shots of us installing this amazing patio. 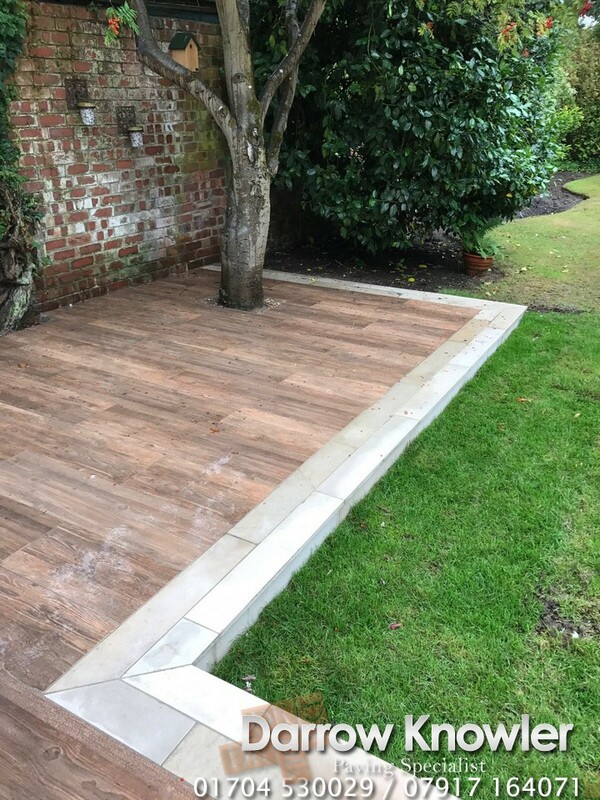 Some detail work around the creeper on the left and the tree facing the bottom of the garden.. 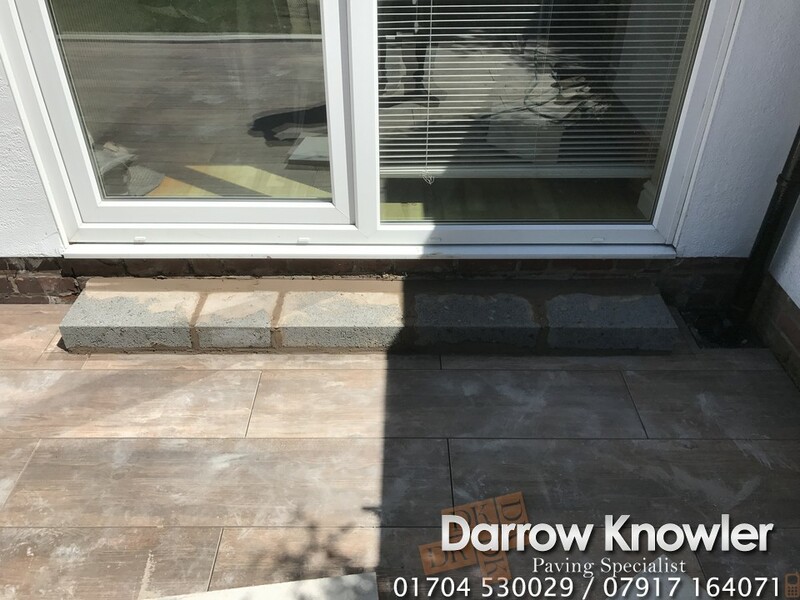 Here are few shots of us creating the two caramel cream bull nosed steps into the back of the house. 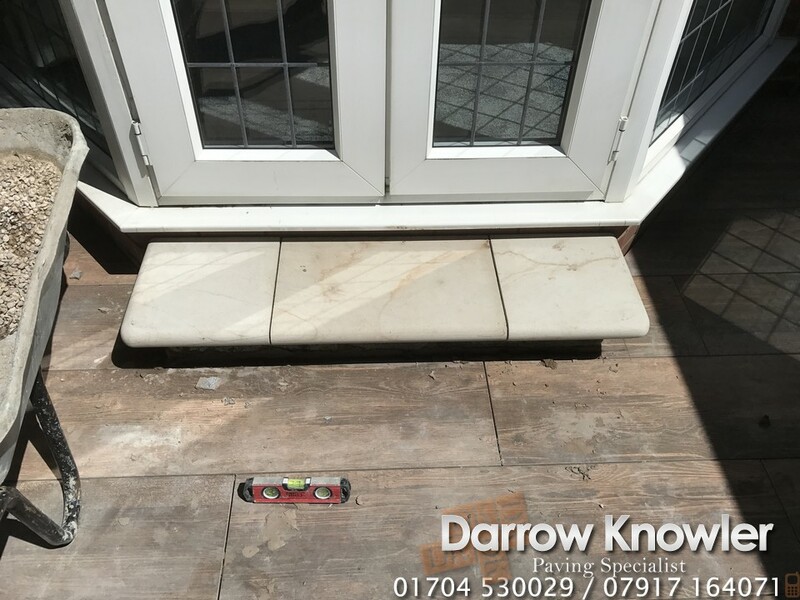 The smaller step of the two..